These days, we hardly have the time or the space to set up our very own garden. 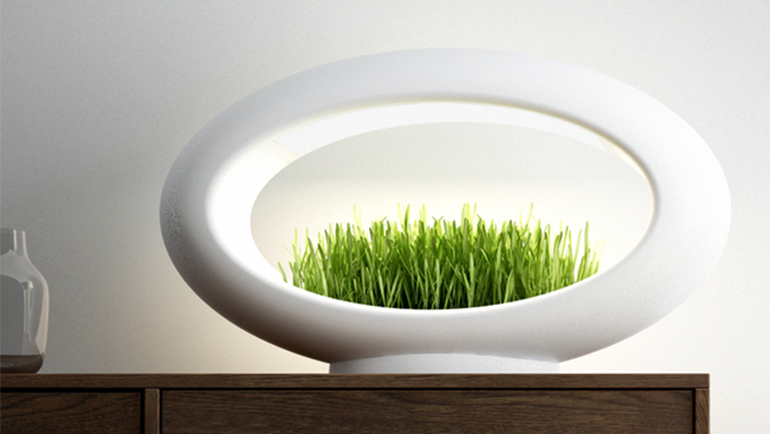 Meet “Grasslamp”, a stunning desktop hydroponic garden that offers you the chance to grow your own micro-greens, while also illuminating your work or home space with its bright LED light. Designed by Los Angeles-based innovators, this lamp is also a spectacular home decor accessory. 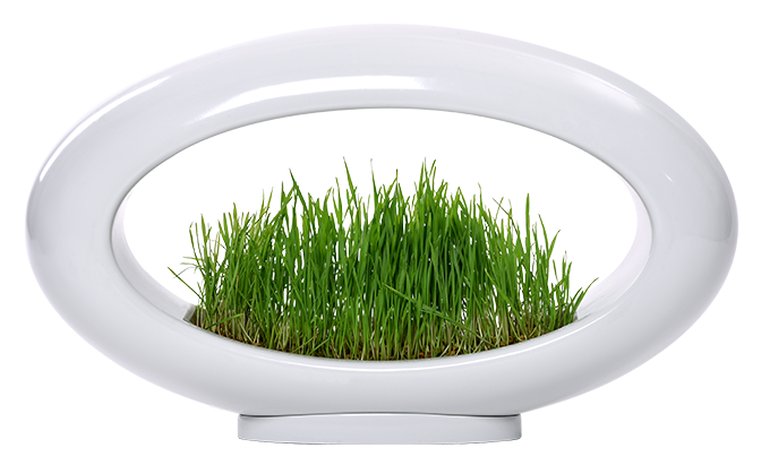 The concept, behind the Grasslamp, was conceived back in 2009, when it won the famed “Design and Design” award. Crafted roughly in the shape of an egg, this innovative desk lamp includes a miniature greenhouse, with a flat foundation for seedlings, and an LED-fitted light fixture. It requires no soil or fertilizer, and relies only on water for the plants’ growth. One only needs to soak a small batch of seeds in water for around 8 hours, place them on the built-in lid and spray them once or twice each day. In about four to five days, you’ll have an entire garden of fresh, organic micro-greens. 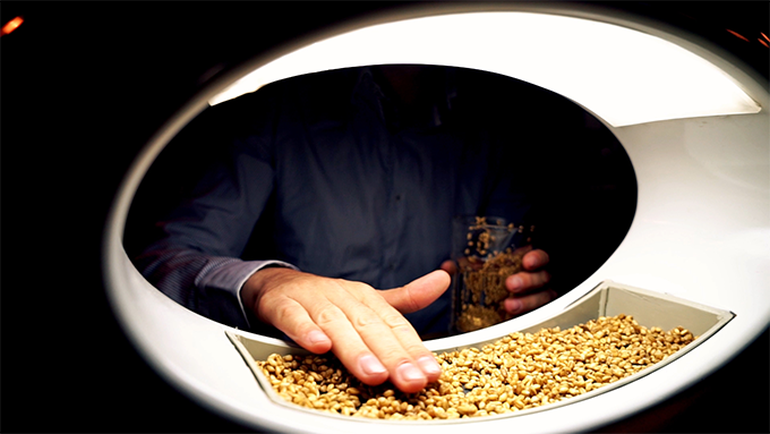 The lamp’s bright LED light actually facilitates the plants’ growth. 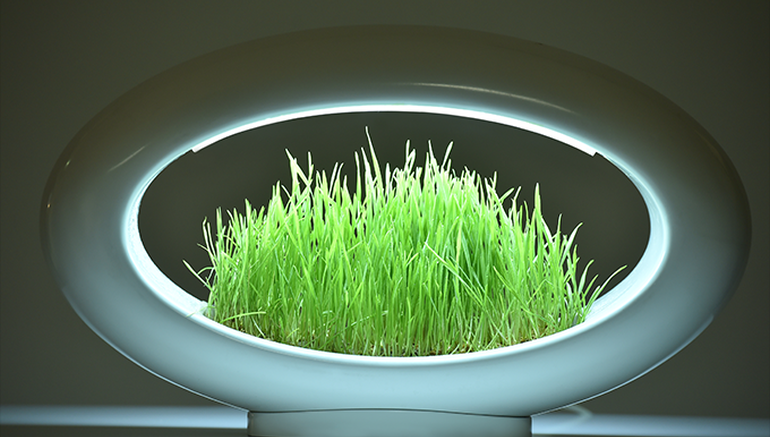 According to the designers, the Grasslamp can be used to grow nearly 40 different types of microgreens, including edible flowers, micro-salads and even wheatgrass. Wheatgrass, for instance, is loaded with vital nutrients and vitamins, and also serves as the perfect snack for your feline pets. The Grasslamp is built using 100-percent recyclable plastic. It is carefully crafted inside a steel mold, via a process called injection molding. Following this, it is assembled manually, before being shipped. The product retails for around $399, but is currently available on Kickstarter at a discounted price of $99.